with a more healthy and satisfying taste? * Put the above in a blender but do not blend yet. less water and stick to the 1 tbs of sea salt). Whisk the water and salt together really well and be sure the container you use to put the water in and salt in is big enough to add both the salt and water so that you can mix this together really well. Now turn on the blender with the 3 ingredients in it and allow it to blend together for 1 minute until the mixture is creamy, then pour in your salt and water combination. Continue blending for another 30 seconds to 1 minute. Let this sit in the blender for a couple of minutes and than transfer it to your small containers. 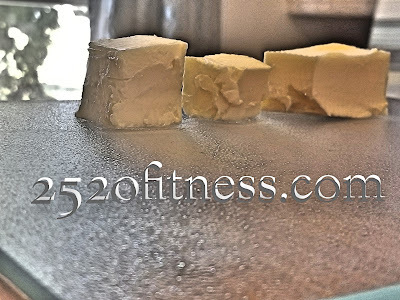 You can freeze this butter and even when you freeze it you can use it as butter. It will have the very same consistency as real butter and the same color. It will last in the refrigerator for up to two weeks without being used. This is why you must freeze it! 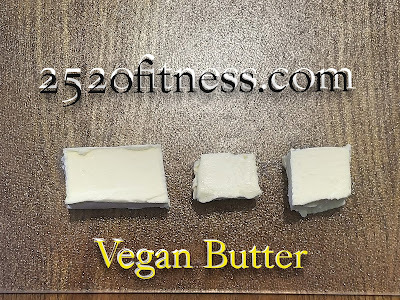 Enjoy a wonderful tasting vegan butter. it is supposed to be 1 Tablespoon of salt, not teaspoon. You have teaspoon in the ingredient list and tablespoon in the directions. :) I make this all the time and it is great! Hello thank you for pointing that out, we will make the correction.